Easter is one of the many times of year when we remember those we love. 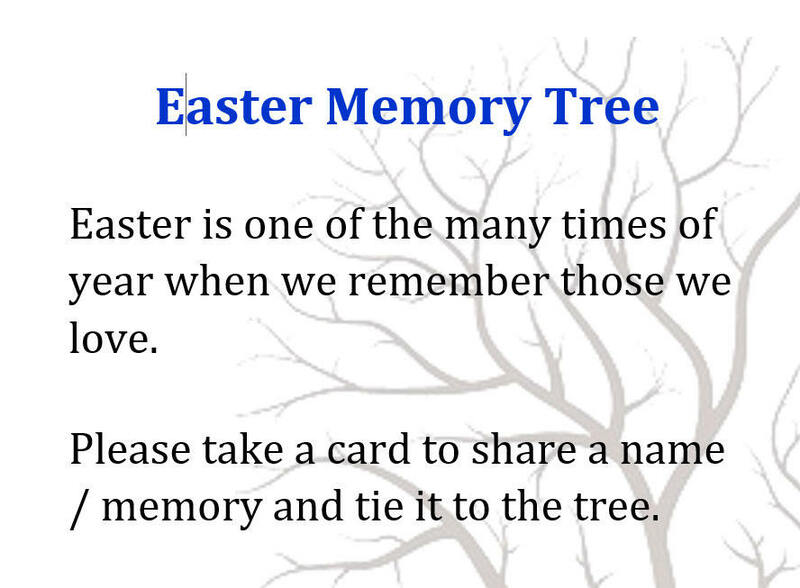 In response to a good idea from a Monday Morning Café regular there is now a Memory Tree in Church. All are welcome to take a card and share a name / memory on the tree.